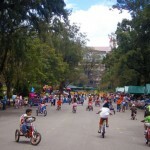 Baguio is one of the places that me and a certain companion enjoy visiting. The cold climate and the closeness to nature help us relax. 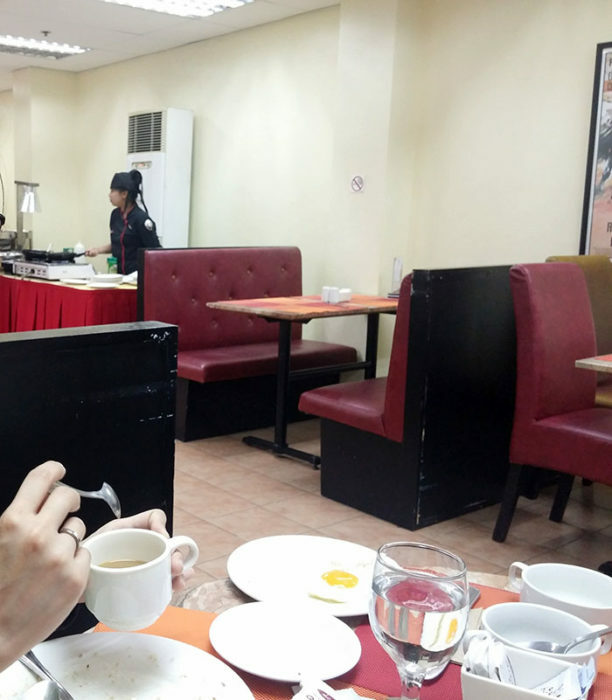 During our recent trip, we decided to stay at Microtel, major reasons being its location — very close to Victory Liner terminal, and its breakfast buffet. We arrived early on October 29, around 8AM. There was still no available room for early check-in, and the receptionist told us that they would send us an SMS as soon as a room becomes available. 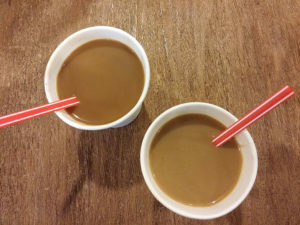 She also told us that we could help ourselves with free instant coffee at the lobby, and showed us the way to the comfort room. There was a water dispenser at the lobby, free to use by all guests, and we thought that was nice because the common complementary 1-bottled-water-per-guest-per-day is never enough for us. Around 11:30AM, they texted me, informing us that there’s already a room that’s ready for check-in. Hurray! We got room 310, right in front of the elevator. To our surprise (and joy) there’s a water dispenser right beside our room. Thanks for the free drinking water, Microtel! We really appreciate that. 🙂 It’s very convenient. 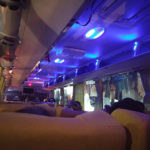 Our room was facing a more peaceful street, and not the Victory Liner bus terminal, and so no traffic noises bothered us during our stay. I expected noise from other guests though because our room was right in front of the elevator. Every guest on the floor would pass our door. The Microtel room had everything we need: hair dryer, towels (bath towel, face towel, hand towel — more than we need! ), toothbrush, shampoo, soap, TV, closet with light bulb inside. There’s a narrow but long couch by the window, which I think could be a good spot for an extra guest to sleep in. The lights of the room were yellow which may look nice, but I always prefer bright white lights because I see my things better with it. I noticed that every time we come in to the Microtel room, there’s a heavy amount of dust suspended in the air. I’m not sure if it’s normal for any room or not but I don’t notice it in other rooms (other rooms being my room and other hotel rooms I’ve been to). 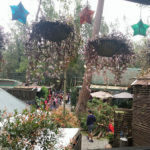 I had many nasal allergy attacks during our stay in Baguio, particularly in the garden near The Mansion, and during my sleep on the first night at Microtel. The free WiFi at Microtel Baguio is reliable. The signal is good at our room, and the speed is good (at least to me, who is used to very slow Internet connection in my home and office, huhu). 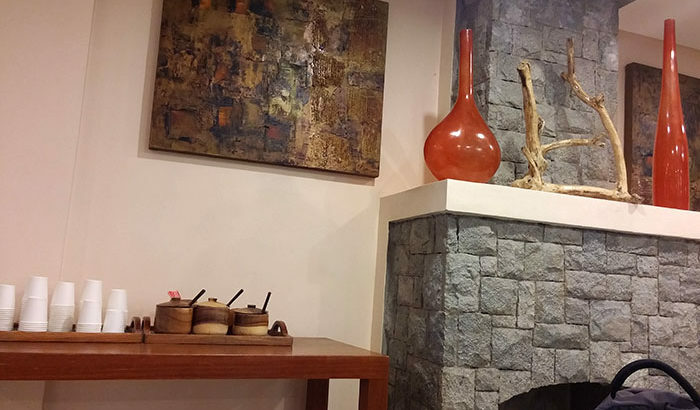 In my home and office, 360p YouTube videos would load slowly, but I was able to enjoy 480p YouTube videos in Microtel Baguio. There were numerous “Under Renovation” signs in Microtel Baguio hallways but we never heard any construction noises. Noisy kids in the hallway before 7AM woke us up though, with their loud footsteps and loud high-pitched voice. I hate it when that happens. We were set to wake up much later that morning. People can have different bed time and waking time, right? It would be really awesome if Microtel (and other hotels) implemented better soundproofing on their rooms so that unruly kids [and adults] would not bother tired guests who need to sleep. 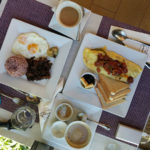 First day breakfast buffet at Microtel Baguio. This photo looks lonely. hehe. I forgot to take more photos because I was starved! 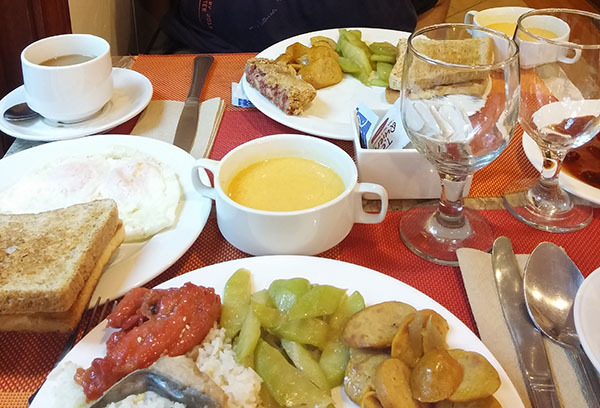 The breakfast buffet of Microtel Baguio was at Te Quiero. At 9AM they ran out of taho. 🙁 They only serve that on Sundays and Wednesdays. They also ran out of toast and no longer refilled at 9AM. The breakfast buffet is available 6:30AM to 10AM, by the way. There’s unlimited brewed coffee and Milo. The foods? Hmm, nothing special to me, but buffet is better than the usual free Filipino breakfast in other hotels. 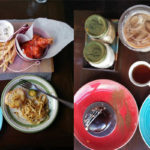 Don’t get me wrong, it’s not that I don’t like Filipino food. It’s just that I am already eating Filipino food everyday at home, so it’s really nice to taste different cuisines when on a vacation. They served mushroom soup (too thick with cornstarch flour to me, and the flavor came mostly from saltiness), toast (but like I said, they ran out when we came to eat) with spreads and butter, danggit (salty and yummy), ginisang pechay, pininyahang manok, and corned beef. There’s a counter where a staff would cook eggs for you – sunny side up or omelettes. Then there’s a table with unsweetened corn flakes and chocolate cereals that you can enjoy with milk. On the same table are fresh fruits and vegetable salad. There’s chocolate cherry pudding served in spoons. It’s too sweet even for a person with sweet tooth like me. Will I go back to Microtel Baguio?